FINALS UPDATE: Shark Tank (1.5) adjusted up (in what must have been one of its biggest adjustments all season), while Grimm (0.8) adjusted down. The Amazing Race was unable to get the finals uptick and thus posted its first ever 0.9. ABC opened Friday with a repeat of Shark Tank (0.8) leading off at 8/7c. Though it was a bit lower-rated than the recently wrapped comedy hour, it may have helped boost the original Tank at 9/8c (1.4), which jumped up to its highest rating since February. 20/20 (1.2) also had another pretty good night. On CBS, The Amazing Race (0.9) is once again eyeing its first ever rounded fractional result. (Though it has upticked from a preliminary 0.9 before!) Hawaii Five-0 extended its 1.1 streak to eight episodes, while Blue Bloods (1.2) gave back its uptick from a couple weeks ago. Fox's Hell's Kitchen (1.0) inched up for the season finale, while the 8/7c repeat hung another 0.5. And CW's The Vampire Diaries and The Originals each had preliminary 0.4's. Reminder: the game for Game of Silence is still open till 6:00 am ET tomorrow! FINALS UPDATE: Empire (3.8) and The Middle (1.7) adjusted up while Nashville (0.8) and SVU (0.7) adjusted down. Many of Wednesday's biggest shows were in repeats yet again on the eve of May sweeps, meaning Fox had another overwhelming Wednesday victory with Rosewood (1.3) up a tenth from last week and Empire (3.7) quite possibly up after finals come in. ABC had a repeat of Modern Family (1.3) at 9/8c and a fairly strong behind-the-scenes special from The Goldbergs (1.6) at 8:30, going just a few tenths behind its usual original ratings. The other two comedies were original, with The Middle (1.6) eyeing a new season low at 8/7c while Black-ish (1.5) held up quite well at 9:30. Nashville (0.9) inched up from last week when it had a repeat lead-in, but may be close to another finals downtick. On CBS, Survivor (2.1) was up for the second straight week, but Criminal Minds (1.0) was in repeats. Criminal Minds: Beyond Borders inched back down to the 1.2 it got on the last Wednesday without a Minds original. NBC's Heartbeat hopes to hold onto its preliminary 0.8 this time after adjusting down last week. (I'm assuming the network had another Portland preemption.) And it was the last week of a lengthy hiatus for Law and Order: SVU (0.8) and Chicago PD (0.7), which will finally be original again next week. And the CW's Arrow (0.9) and Supernatural (0.7) had a solid return from hiatus, with Arrow up a tenth. FINALS UPDATE: The Voice (2.0) adjusted up along with the NCIS: New Orleans repeat (1.2). Containment (0.5) and the New Girl repeat (0.6) adjusted down. As both of CBS' NCIS twins snuck in a pre-sweeps repeat (1.2/1.1), NBC had a dominant Tuesday with The Voice (1.9) and Chicago Med (1.8) both on the rise. Chicago Fire (1.7) was flat at 10/9c as the only NBC series facing original CBS competition, the season finale of Limitless (1.1). Limitless held onto its usual rating with a repeat lead-in, something it also did in an early March airing. This serves as more evidence that it was never a good fit on an NCIS night. The CW's The Flash (1.3) and week two of Containment (0.6) were also up a tenth from last week. We'll have to see if that can remain the case after finals, but it looks like a good week two hold for Containment either way. ABC had a good return from Fresh Off the Boat (1.3) at 8/7c, posting its highest rating since DST began. That lifted The Real O'Neals back to its usual 1.0 with an original lead-in, and Agents of SHIELD was also back up to 1.0. Beyond the Tank had another rough 0.5. And Fox continued its New Girl double-pump with a 1.0 at 8/7c and a 0.8 at 9/8c, while in the middle Grandfathered had a putrid 0.6 in its first original in well over a month. (It had 0.6 for a repeat just a couple weeks ago!) Fox rounded out the night with a decent repeat rating for Prince's post-Super Bowl episode of New Girl (0.7) at 9:30. These numbers are current through Monday, April 25. The return of Game of Thrones dominated Sunday night with a 3.98 A18-49 rating. It's the first ever down year-to-year Thrones premiere, but the decline was a very healthy 5% from last year's 4.19 opener. Leading out were returning comedies Silicon Valley (1.04, down 17% y2y) and Veep (0.52, down 5%). While Silicon does not fare well by any "retention" measure compared to Game of Thrones, it is interesting to note that its audience skewed a fair amount younger and more male than GoT. It seems that the most male-leaning scripted shows are actually young-skewing comedies like Silicon Valley, Archer and the Adult Swim fare, rather than the action shows. Competing with GoT head-to-head for the first time was AMC's Fear the Walking Dead (2.12), which took another double-digit hit. CBS welcomed back Mike and Molly (1.3) for its last few episodes. It dropped three tenths vs. its last episode in February, but was only down a few hundredths in True since its Wednesday airings were in a much more favorable time of year. The network also wrapped up the sophomore season of Scorpion (1.6), which was up a tenth from last week as was NCIS: Los Angeles (1.2). Fox's Lucifer (1.3) ended season one on a strong note, matching last week's rating (which was already a relatively high one) despite a repeat lead-in from Gotham. ABC's Dancing with the Stars (1.8) and Castle (1.1) surged back from weak outings last Monday, with DWTS moving to within two tenths of competing The Voice (at a 2.0 after a downward adjustment in finals). Blindspot (1.4) had, at least by its spring standards, a relatively good night by upticking despite the continued meltdown of its lead-in. And the CW filled Crazy Ex-Girlfriend's vacated 8/7c hour with the return of Reign (0.3), which matched the usual CEG number in the hour. Jane the Virgin clung to 0.4 again. FINALS UPDATE: The return of Game of Thrones dominated Sunday night with a 3.98 A18-49 rating. It's the first ever down year-to-year Thrones premiere, but the decline was a very healthy 5% from last year's 4.19 opener. Leading out were comedies Silicon Valley (1.04, down 17% y2y) and Veep (0.52, down 5%). NBC's Little Big Shots has a pretty short order, so it threw in a pre-sweeps repeat in the 8:00 hour (1.1) on this Sunday. That was bad news for the lead-out comedies The Carmichael Show (0.7) and Crowded (0.7), which both plummeted into new low territory. This helps to illustrate that these shows aren't really that different from each other, and neither one has any real strength. On Fox, The Last Man on Earth (0.9) and a repeat of Family Guy (1.0) both took a hit in the 9:00 hour, as the M18-34 competition presumably ramped up big-time with the return of Game of Thrones on HBO. At 8:00, The Simpsons (1.2) and Bob's Burgers (1.1) were much steadier, matching two weeks ago when Simpsons was last original. Simpsons got a slight lead-in improvement from a Simpsons repeat (0.6) replacing Cooper Barrett's Guide at 7:30... but Bordertown (0.4) remained a drag on the night at 7:00. ABC was even across the drama board with Once Upon a Time (1.2), The Family (0.8) and Quantico (1.0), while America's Funniest Home Videos (1.2) got a boost at 7:00 (perhaps from the afternoon NBA playoff game). And on CBS, Madam Secretary (1.0) inched up from last week's low, but Elementary (0.7) did not. In the middle was The Good Wife, posting another 1.0 as it's now two weeks from the series finale. FINALS UPDATE: 20/20 (1.2), The Vampire Diaries (0.4) and Containment (0.2) adjusted down. ABC's bubble comedies Last Man Standing (1.0) and Dr. Ken (0.9) wrapped up their seasons and didn't leave the ideal final impressions, as each show downticked to tie its series low. Shark Tank (1.2) was also down a tenth, though 20/20 (1.3) had a strong night at 10/9c with coverage of Prince's death. NBC's Caught on Camera (0.7) and Grimm (0.9) ticked up from last week's lows, while Prince coverage on Dateline (0.9) fell well behind 20/20 at 10/9c. CBS had steady originals of The Amazing Race (1.0) and Hawaii Five-0 (1.1) plus a repeat of Blue Bloods (0.9). A week away from the finale, Fox's Hell's Kitchen had another 0.5 for an 8/7c repeat and 0.9 for a 9/8c original. And the CW had (at least preliminarily) a rather strong night from The Vampire Diaries (0.5). The Originals took the night off so the network could encore the pilot of Containment (0.3). FINALS UPDATE: 2 Broke Girls (1.7) couldn't hold the 1.8, but it and Mom (1.8) still tied their season highs, while The Odd Couple held to 1.7 and easily set a new one. The Big Bang Theory (3.2) inched up in finals, as did Bones (0.9), while Legends of Tomorrow ticked down to its first 0.6. CBS appears headed for a bounce-back Thursday as most other networks declined. The Big Bang Theory (3.1) matched its final from two weeks ago against the American Idol finale, but is always a candidate to adjust up, while The Odd Couple (1.7), Mom (1.8), 2 Broke Girls (1.8) and Rush Hour (1.0) were all up from last week. The 9:00 comedies in particular were up so drastically that I'm a bit curious if there might be a preemption; for example, it'd be an outright season high for 2BG at a time of year when those are rare. But if they hold, those are really good late-season showings. ABC's TGIT lineup was on the downswing across the board, though Grey's Anatomy was able to hold onto a 2.0 at 8/7c in the same week that NCIS finally couldn't. Scandal (1.5) and The Catch (0.9) both hit new lows. NBC's revamped Thursday saw Strong hold at 0.8 in the 9/8c hour, but The Blacklist (1.3) and Game of Silence (0.7) each inched down. Blacklist did have a 1.4 in the first half-hour so it may hold out hope for a second straight finals uptick. Fox's Bones (0.8) and American Grit (0.7) were each down a notch in their second week together. And the CW's ever-consistent Thursday posted another 0.7 with Legends of Tomorrow and 0.4 from The 100. FINALS UPDATE: Empire (3.7) and The Goldbergs (1.2) adjusted up. Heartbeat (0.7), SVU (0.7) and Black-ish (1.0) adjusted down. CBS and Fox were the only two networks airing their biggest guns in originals, but the results were fairly mixed anyway. On Fox, Empire (3.6) was down again, though its decline slowed considerably; it should finish down a tick or two after finals, still dipping below its series premiere's raw number for the first time other than Thanksgiving Eve. Rosewood stayed at 1.2. On CBS, Survivor (2.0) got back into the twos, while Criminal Minds had another 1.7. Criminal Minds: Beyond Borders (1.3) took a turn downward after last week's surge, though it's still looking a bit better than Code Black. ABC's only original was Nashville (0.8), which inched down to tie its fall finale low following comedy repeats (1.1/1.1/1.2/1.1). Heartbeat (0.8) was the lone new episode on NBC, rebounding by a tenth after its crash against American Idol two weeks ago. It was followed by repeats of SVU (0.8) and Chicago PD (0.8). And the CW's Arrow (0.3) and Supernatural (0.3) were on hiatus for one more Wednesday. FINALS UPDATE: NCIS (1.9), The Flash (1.2) and Fresh Off the Boat (R) (0.8) adjusted up while Containment (0.5) adjusted down. The CW opened new drama Containment with 1.7 million viewers and a 0.6 demo rating, dropping nearly half of its lead-in from The Flash (1.1). It may not even be a safe 0.6, as it has a 0.6 -> 0.5 breakdown and The Flash had a short overrun (listed at 30 seconds). So we know that this didn't open much or even any better than iZombie's usual post-Flash delivery; what we'll find out in the coming weeks is if it's possible for a show to do much worse than iZombie in this slot. On CBS, it took over 300 episodes, but NCIS has finally fallen below a 2.0: and with a 1.8 rating last night, there won't even be any finals sweat. NCIS: New Orleans (1.6) was down a tick, and Limitless held at 1.1. ABC's The Real O'Neals (0.8) also dropped below its milestone, going fractional for the first time, but it took a repeat lead-in from Fresh Off the Boat (0.7) to get it there. Agents of SHIELD (0.9) gave back last week's uptick, while Beyond the Tank had yet another 0.5. It was a roller coaster on NBC as The Voice (1.8) had a really rough night at 8/7c, but Chicago Med (1.6) and Chicago Fire (1.7) did quite well anyway, growing by 0.1 and 0.2 respectively. Fox will be airing two New Girl originals per Tuesday for most of the rest of the season, starting this week with back-to-back episodes taking a hit in the 8:00 hour (0.9/0.8). Beyond this week, the second original will air at 9/8c, replacing Brooklyn Nine-Nine (0.9) which wrapped up its season last night. The Grinder posted its sixth straight 0.6. These numbers are current through Monday, April 18. AMC's Fear the Walking Dead (2.53) won another Sunday night, but it may be the last time it can say that for awhile. It was down 18% from last week's premiere, and once again was down by 38% from the corresponding season one episode. And that's before Game of Thrones even comes back as head-to-head competition. That looms next week. Continuing to track the Fear editions of Talking Dead... in week two, it dropped to 0.84, now retaining just 33% of the Fear demo. Remember from last week that the spring editions after the mothership never went worse than 37%. FINALS UPDATE: Supergirl (1.3) adjusted up, avoiding its first ever 1.2. NCIS: Los Angeles (1.1) adjusted down, meaning all three CBS shows tied their season lows. Last week's Disney bump didn't do anything for Dancing with the Stars (1.6) long-term, as it collapsed from last week's 2.0 high all the way to a new low. As its cast departures made big news, Castle (1.0) inched down, seemingly ending the show's long 1.1 streak. Supergirl dropped to an unfortunate new low 1.2 on its finale night, managing only a tie with Gotham. Scorpion (1.5) and NCIS: Los Angeles (1.2) were also down a tenth. If there was a winner last night, it was Fox, where Lucifer (1.3) had a noteworthy surge to its best rating in over a month at 9/8c. Gotham held last week's 1.2, but it might have a shot at an upward adjustment with a 1.3 in the first half-hour. And the CW's Crazy Ex-Girlfriend wrapped up a low-rated season one by getting back up to its usual 0.3. Jane the Virgin put up another 0.4. FINALS UPDATE: Weird set of adjustments: lowly Bordertown (0.5) went up while night-topping Little Big Shots (1.7) went down. 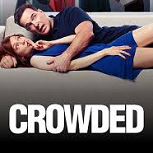 Once Upon a Time (1.2), The Good Wife (1.0) and America's Funniest Home Videos (1.0) also ticked up, while both episodes of Crowded (1.1/0.9) lost a tenth. Fox's Family Guy (1.4) was finally back in originals after over a month off , tying its last original and beating some of the ratings it posted earlier in the winter. The Last Man on Earth (1.1) was even at 9:30. Earlier in the night, Bordertown (0.4) and Cooper Barrett's Guide (0.4) were each down, while The Simpsons (0.9) went into repeats and Bob's Burgers (1.0) lost a tenth. ABC's Once Upon a Time (1.1) and Quantico (1.0) each gave back last week's upticks, but look like they could be close to adjusting up again. The Family posted another 0.8 at 9/8c. NBC took a look at Crowded (1.2/1.0) with the direct Little Big Shots (1.8) lead-in. Compared with last week's finals, Crowded improved by a tenth week-to-week in each half-hour (beating what The Carmichael Show did last week). But these comedies have always been adjust-down candidates, so there may be no difference by the finals. Dateline (1.2) remained a rather strong option at 10/9c. CBS' regular lineup had a rough night, with Madam Secretary (0.9) preliminarily going fractional for the first time and Elementary (0.7) posting a new low of its own. The Good Wife (0.9) merely tied its low. FINALS UPDATE: The Amazing Race (1.0) adjusted up, wiping out its new series low and simply tying for it instead. ABC's Last Man Standing (1.1), Dr. Ken (1.0) and Shark Tank (1.3) all ticked up from last week's season lows. 20/20 (1.0) gave back a tenth. CBS' The Amazing Race (0.9) took a tumble, (preliminarily) into fractional territory for the first time. But Blue Bloods (1.3) was up at 10/9c, while Hawaii Five-0 posted its sixth consecutive 1.1. It was a below-average night for NBC, as Grimm fell to 0.8 for the first time since its winter premiere. Caught on Camera (0.6) dropped to a season low at 8/7c, but Dateline (1.0) pulled into a tie with 20/20 at 10/9c. With Sleepy Hollow over, Fox plugged in a repeat of Hell's Kitchen (0.5) at 8/7c. That repeat did worse than Sleepy's usual numbers, but the original Hell's (0.9) ticked up at 9/8c. The Vampire Diaries (0.4) inched up from last week's preemption-riddled low. The Originals (0.3) did not. FINALS UPDATE: The Big Bang Theory (1.6) and The Blacklist (1.4) adjusted up. 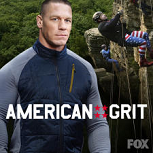 Fox began its Thursday life after American Idol with fractional spring premieres for both Bones (0.9) and the new reality series American Grit (0.8). Bones tied its low point from the fall, while Grit could only muster up a low-end Sleepy Hollow rating on premiere night. NBC also had a couple low-rated timeslot premieres, lead-off reality show Strong (0.8) and 10/9c drama Game of Silence (0.8). Silence shed nearly half of its post-Voice preview rating on Tuesday and is already well below Shades of Blue levels in the 10/9c hour. Strong at least holds out some hope to be an improvement on You, Me and the Apocalypse in the timeslot. But both shows could only tie the repeats of Little Big Shots and SVU that aired against the Idol finale last week. The silver lining for NBC was that The Blacklist (1.3) improved a bit at 9/8c... but we'll see if its lead-in can hold up enough to keep it there. ABC improved on its usual Thursday ratings by airing two hours of Grey's Anatomy (2.2), which were up a tenth from last week. (And last year!) However, a larger lead-in didn't remotely help out The Catch (1.0), which inched back down to its week two number. And CBS had a repeat of The Big Bang Theory (1.5) at 8/7c but also no Idol finale to contend with, so The Odd Couple (1.5) and Mom (1.5) held last week's ratings while 2 Broke Girls (1.5) inched up at 9:30. 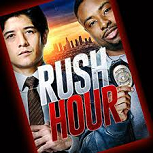 Rush Hour posted another 0.9 at 10/9c. The CW's Legends of Tomorrow (0.7) and The 100 (0.4) were even again, with 100 not needing to wait till finals for the 0.4 this time. FINALS UPDATE: The Goldbergs (1.9) adjusted up while Black-ish (1.5), Nashville (0.9), Strong (0.9) and Arrow (0.2) adjusted down. 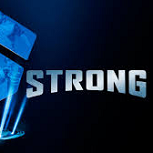 It's been a rough season for fitness reality shows, and it looks like America had little interest in yet another one: NBC's Strong opened with a mere 1.0 rating at 9:00 and fell to 0.9 at 10:00, significantly below its 1.7 lead-in from a special Wednesday The Voice. If it can pull a Little Big Shots and translate the whole rating over to Thursday, it'd be a respectable rating for that timeslot... but that kind of hold is always unlikely, especially over the long term. On Fox, Empire (3.8) fell another 10%ish in its third spring episode. Since it had to trade out American Idol for Rosewood (1.2) at 8/7c, this particular drop may not be as bad as it looks. But it's still Empire's first return to the threes since the special Thanksgiving Eve episode... and excluding that, it's the first time since the 3.8 series premiere. CBS saw the return of Criminal Minds (1.7) at 9/8c, which had its lowest rating of 2016 even with no Law and Order: SVU competition. However, its newbie lead-out Criminal Minds: Beyond Borders (1.5) took big advantage of the light competition at 10/9c, surging to its best Minds retention yet. Survivor matched last week's 1.9. ABC was very close to last week with The Middle (1.7), The Goldbergs (1.8), Modern Family (2.2), Black-ish (1.6) and another seemingly shaky 1.0 for Nashville. CW went with repeats of Arrow (0.3) and Supernatural (0.3). These numbers are current through Monday, April 11. The Walking Dead universe showed at least a little mortality as Fear the Walking Dead opened season two with a 3.08 in the 9/8c hour. It's still a massive number (would qualify as a megahit by A18-49+ standards), but down 38% from its series premiere late last summer, and 0.23 points behind its previous series low. Another interesting note about FTWD is the fact that the Fear edition of after-show Talking Dead had relatively bad retention: its 1.05 rating was just 35% of the Fear rating. Compare this to the most recent spring episodes of the Walking Dead mothership: Talking Dead averaged 40% retention, did much better than that (46%/44%) for the premiere and finale respectively, and never did worse than 37%. I'm probably reading too much into this, but it seems like a potential red flag for the engagement level in the show. We'll see if it improves going forward. FINALS UPDATE: The Voice (2.3) adjusted up and Game of Silence (1.4) and Beyond the Tank (0.5) adjusted down. 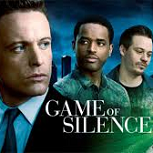 With lots of repeats and low-rated originals elsewhere on the schedule, this Tuesday was all NBC, with two hours of The Voice (2.2) leading into the 10/9c preview of Game of Silence (1.5), which dropped from 1.6 to 1.3 at the half. We have a surprisingly robust sample size for post-Voice previews, so we can say that Game of Silence did OK relatively speaking: a tenth better than Heartbeat (1.4) three weeks ago, and close to the hour of Crowded (1.7/1.4) four weeks ago, despite a weaker The Voice lead-in. I would hesitate to go as far as "promising," especially since it was up against a CBS repeat and Beyond the Tank, and especially since its breakdown means it could adjust down. But it's at least not totally hopeless as it heads to Thursday 10/9c. ABC's Agents of SHIELD (1.0) and Beyond the Tank (0.6) each gained a tenth. And the two-hour finale of iZombie (0.5/0.5) proved one last time just how incompatible it is with The Flash, posting its normal rating (and up a tenth from last week) despite not having the CW's biggest show around. FINALS UPDATE: Crazy Ex-Girlfriend took a big hit to 0.2 in finals, though Jane the Virgin lost only 0.1 to match last week's 0.4. The big four's only adjustment was an uptick for The Voice (2.3). The crossover with The Flash didn't seem to bring any long-term audience to Supergirl (1.3), which gave back the entirety of its four-tenth spike and tied its last two pre-crossover episodes. But Scorpion (1.6) and NCIS: Los Angeles (1.3) were both on the high end of their spring ratings. In the 8:00-10:00 reality clash, there was a rough drop for The Voice (2.2) and a big surge for Dancing with the Stars (2.0). DWTS hit a season high by a considerable margin. As for their lead-outs, Blindspot (1.4) saw almost no bounce-back from last week's low against the NCAA championship. (And as always, after finals, it may be no rally.) And Castle logged its sixth consecutive 1.1. After three straight weeks at 1.3/1.2 respectively, Fox's Gotham and Lucifer each edged down to new lows at 1.2/1.1. And the CW is pending major preemptions with Crazy Ex-Girlfriend (0.4) and Jane the Virgin (0.5). FINALS UPDATE: Once Upon a Time (1.2) and Quantico (1.1) joined in on the up-week-to-week fun with upticks in finals, and The Simpsons (1.2) plus the 10:30 Elementary added another tenth as well. NBC's The Carmichael Show (1.1) and Crowded (0.9) adjusted down. The Walking Dead universe showed at least a little mortality as Fear the Walking Dead opened season two with a 3.08 in the 9/8c hour. It's still a massive number, but down 38% from its series premiere late last summer, and 0.24 points behind its previous series low. Finally free from Easter, The Walking Dead and big awards shows, the broadcasters mostly had a rebound Sunday. On NBC, that meant a return to the twos for Little Big Shots (2.0), and its lead-out comedies The Carmichael Show (1.2) and Crowded (1.0) were also on the upswing, as was Dateline (1.1) at 10/9c. Fox was also up across the board, with a particular spike for The Last Man on Earth (1.1) leading out of a repeat of Family Guy (1.2) in the now TWD-free 9:00 hour. Earlier in the night, Bordertown (0.5), Cooper Barrett's Guide (0.5), The Simpsons (1.1) and Bob's Burgers (1.1) were all up by a tenth from last week. ABC's Once Upon a Time (1.1) and Quantico (1.0) were even, sandwiching The Family (0.8) which inched up for a second straight week. And CBS was delayed by about 30 minutes due to the end of The Masters (preliminary 2.5 in the 7:00 half-hour). In the prelims, 60 Minutes (1.6/1.5) got a big boost, Madam Secretary (1.1) was slightly up and two hours of Elementary (0.8/0.9/0.8) were about even. FINALS UPDATE: Grimm (0.9) and the apparently pre-empted The Vampire Diaries (0.3) and The Originals (0.3) adjusted down, as did the repeat of Caught on Camera (0.6). ABC's Last Man Standing (1.0), Dr. Ken (0.9) and Shark Tank (1.2) had a low-end return after a couple weeks in repeats, with Ken and Shark Tank each tying their Friday season lows and Last Man Standing setting a new one. 20/20 (1.1) benefited a bit from the fellow originals. On Fox, Sleepy Hollow (0.7) wrapped up its third season by inching up from last week's series low. The show has done enough on Friday that it wouldn't be much of a reach to have it back... for instance, a weaker show like Scream Queens is already in the clubhouse with a renewal. But the development in last night's finale doesn't seem like a great sign. NBC's Grimm rose back to 1.0 on the heels of its recent season six renewal, and everything else on broadcast matched last week. As well as Fox's Hell's Kitchen (0.8) and NBC's Caught on Camera repeat (0.7) and Dateline (0.9). FINALS UPDATE: The Big Bang Theory (3.1) adjusted up while The Odd Couple (1.5) and The 100 (0.4) adjusted down. Fox said goodbye to its ten-time megahit American Idol, which averaged a 2.6 in the 8:00 hour and a 3.3 at 9:00. After finals, this should at least tie and maybe beat the previous season high 3.0 (especially since the last few minutes are not included in the hourly averages). It is not exactly a reclamation of Idol's former ratings glory, but it still trounced the last couple Idol finales (1.7 last year and 2.6 in 2014), and was bigger in A18-49+ than the 2013 one as well (3.6). Even on this big finale night, Idol skewed a lot older than it used to, so maybe it's fitting that CBS actually took the hardest hit against the finale. 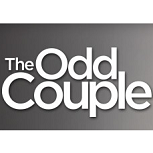 The Big Bang Theory (3.0) preliminarily went a half point behind its previous season low, providing a relatively soft lead-in for the season two premiere of The Odd Couple, which only had a 1.6 at 8:30. Even out of a diminished lead-in, it looks a little worse retention-wise than Life in Pieces usually did (and it may get worse after finals). So this whole night will have to hope to fare better with Idol out of the picture; Mom (1.5), 2 Broke Girls (1.4) and week two of Rush Hour (0.9) all dropped by two tenths. Meanwhile, the younger-skewing TGIT actually held up well, with Grey's Anatomy (2.1) down by just a tenth and Scandal (1.7) even. And at 10/9c, The Catch (1.1) tried to throw its hat back in the ring by inching up in week three. It was an unfortunate time for The Blacklist (1.2) to return from a long hiatus, and it posted a new season low. NBC did hold off for a week on the new series that will surround it going forward, instead using a repeat of Little Big Shots (0.8) at 8/7c and Law and Order: SVU (0.8) at 10/9c. The CW had Legends of Tomorrow (0.7) and, at least in the prelims, a 0.5 for The 100. FINALS UPDATE: Modern Family (2.3) and Empire (4.3) adjusted up while Nashville (0.9) adjusted down, back into fraction-town. The last two broadcast giga-hits were back together again for one night only, with American Idol posting a 2.2 demo rating to win the 8/7c hour on the eve of its Thursday finale. And Empire fell a little over 10% to a 4.2 in its second spring airing. That may be a little worse than it looks on the surface since it had a major lead-in upgrade, but we'll see how much of it holds on when Rosewood is back next week. ABC's comedies got their first look at Empire since the new year (plus added 8/7c competition from Idol), and the results were pretty rough: The Goldbergs (1.8) and Modern Family (2.2) both plummeted to new season lows, while The Middle (1.7) and Black-ish (1.6) tied their lows. However, Hayden Panetierre's return on Nashville (1.0) preliminarily got that show back into the ones for the first time this spring. On CBS, Survivor (1.9) led into a double-dose of Criminal Minds: Beyond Borders (1.2/1.2), which inched down in its first airings with no Minds lead-in. This matched what CSI: Cyber did in a similar two-hour airing last May. It was a rougher night for fellow newbie Heartbeat (0.7), which suffered a likely fatal blow against the double-whammy of Idol at 8/7c plus the other NBC dramas going into repeats (0.8/0.8). On the CW, Arrow (0.8) gave back a tenth of last week's rebound, but Supernatural (0.7) picked one up. Reminder: the game for Heartbeat is still open till 6:00 am ET tomorrow! FINALS UPDATE: Chicago Fire (1.5) adjusted down. The finale of The People v. O.J. Simpson posted a 1.34 demo, up 0.23 week-to-week and its best rating since week three. Fox began its American Idol finale week with a 90-minute retrospective special on Tuesday (1.4/1.5/1.4). This rating went below all of Idol's original episodes this season, but it did win head-to-head against a recap of The Voice (1.3) in the 8:00 hour. But the improved lead-in was of no real help to the likely incompatible Brooklyn Nine-Nine (0.9), airing a special episode at 9:30. As for The Voice, it seemed pretty damaged by Idol, as this recap got a 2.0 a year ago. The reduced lead-in helped drive Chicago Med (1.5) back down to its late winter numbers, while Chicago Fire (1.6) was down a tick at 10/9c. On CBS, NCIS (2.0) fought off the ones yet again, while NCIS: New Orleans (1.7) inched down. And Limitless (1.1) gave back the spike it got with no ChiFi competition for its last episode. ABC's Fresh Off the Boat (1.1), The Real O'Neals (1.0), Agents of SHIELD (0.9) and Beyond the Tank (0.5) all tied their lows from earlier in the season. And with The Flash back in repeats (0.4), an original iZombie dipped to its first ever 0.4, a week before its two-hour season finale. These numbers are current through Monday, April 4. AMC bid farewell to The Walking Dead for another summer with a big spike to 6.92 for the finale. It was down 15% year-to-year, about in line with the -13% for the full spring season. More good news for AMC is that the zombies will keep coming next week with the return of Fear the Walking Dead, which was promoted pretty relentlessly throughout this TWD half-season. FINALS UPDATE: The Voice (2.5) adjusted up while Blindspot (1.3) adjusted down along with the 8:00 Big Bang (1.4) and Gotham (0.5). The NCAA game averaged 4.52 on TBS, 1.07 on TNT and 0.31 on TruTV for a total of 5.90. For the second straight day, the broadcast networks were overshadowed by a big cable event, this time as the NCAA men's basketball championship moved to cable (TBS) for the first time. Most of the broadcasters ducked the event, but the big reality properties and their lead-outs powered through. NBC got whacked against the game last year, but it was even worse for The Voice this time, with a 2.4 rating that was down four tenths from last week. And Blindspot (1.4) followed it down to a new low. The other three networks were all in repeats, led by CBS' The Big Bang Theory (1.5/1.6), Scorpion (1.0) and NCIS: Los Angeles (0.8). Fox had Gotham (0.6) and Lucifer (0.6), while CW had iZombie (0.2) and Jane the Virgin (0.2). FINALS UPDATE: The Walking Dead (6.92) hit its highest rating of the half-season for the season finale. It was down 15% from last year's 8.16 finale, about in line with the year-to-year trend all season. The iHeartRadio Music Awards seemingly weren't that much of a factor: they averaged 0.42 (TBS)/0.36 (TNT)/0.10 (TruTV). Even combining the three got to barely half of last year's 18-49 rating on NBC (a 1.7 on 3/29/15). 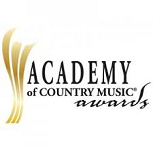 CBS took Sunday with the Academy of Country Music Awards, but its preliminary 2.0/2.4/2.3 would be down roughly forty percent from last year's finals. It was in the uncommon (and apparently unfortunate) position of having to compete head-to-head with another awards show, the iHeartRadio Music Awards simulcast on the big Turner channels. It certainly appears that show siphoned some younger viewership off of this one, but we'll see how it looks in the finals. The awards competition and AMC's The Walking Dead finale probably helped limit ABC and NBC's ability to bounce back from depressed Easter results. All three ABC dramas Once Upon a Time (1.1), The Family (0.7) and Quantico (1.0) got back the tenth they lost last week, while NBC was basically stuck at its Easter levels with Little Big Shots (1.8), The Carmichael Show (1.0) and Crowded (0.8). Last week, NBC quietly yanked Hollywood Game Night from the 10/9c slot, and they saw a slight improvement in that hour with Dateline (0.8). On Fox, it was a brutal return for the comedy night, derailed by rotten ratings from Bordertown (0.4) and Cooper Barrett's Guide (0.4) in the lead-off hour. The Simpsons (1.0) and The Last Man on Earth (0.9) each plummeted to new lows, and Bob's Burgers seemed the steadiest in its double-dose of originals at 8:30 (1.0) and 9:00 (0.9). FINALS UPDATE: A week after adjusting up from 0.6, this time Sleepy Hollow adjusted down from 0.7 to its first ever final 0.6. The Vampire Diaries (0.4) also adjusted down. CBS' Friday lineup made a fairly unexciting return to the schedule. While The Amazing Race (1.1) was up a tenth in its first post-DST episode, Hawaii Five-0 (1.1) and Blue Bloods (1.2) each matched their last couple results. Fox brought Hell's Kitchen back to Friday and saw its ratings plummet to 0.8; Kitchen found this night a lot tougher than it was in January when it was leading out of MasterChef Junior. The penultimate Sleepy Hollow had its usual 0.7 at 8/7c. ABC had repeats of Last Man Standing (0.8), Dr. Ken (0.7) and Shark Tank (1.0) plus an original 20/20 (1.0), while NBC had a repeat of Caught on Camera (0.7) leading into original Grimm (0.9) and Dateline (0.9). The CW's The Vampire Diaries (0.5) and The Originals (0.4) returned from hiatus in solid fashion, with TVD on the uptick. It looks like the CBS bubble shows can cross one obstacle off their lists, as Rush Hour opened with a soft 1.1 demo rating and 5.1 million viewers. It has to hold pretty much all of this just to be an Elementary-sized player, and it's not like even doing that would be saying much. Earlier in the night, CBS' The Big Bang Theory (3.4) and one-hour finale of Life in Pieces (1.9/1.7) were down a bit in their return from the March Madness hiatus. (It was also the shows' first airings after Daylight Saving Time.) 2 Broke Girls had a typical 1.6 leading into the Rush Hour premiere. It was a good night for the first couple hours of TGIT, as Grey's Anatomy (2.2) and Scandal (1.8) were both on the upswing. 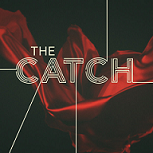 Despite that help, The Catch (1.0) took a pretty average post-premiere drop, which is not good news considering where it started. Fox's American Idol (2.0/2.1) showed promise leading into its finale week, surging back into the twos for the first time in four weeks. NBC wrapped up the seasons for You, Me and the Apocalypse (0.6) and Shades of Blue (1.1). The latter seemed like a potentially shaky renewal at the time it happened, but it's earned it by staying in the ones after all these repeats of The Blacklist (0.5). And the CW was back from hiatus with Legends of Tomorrow (0.7) even and The 100 (0.5) inching up.